In the field of microscopy, there is a vast array of optical technology available to researchers. 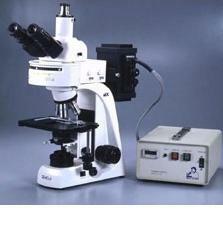 Among these various technologies, the epi-fluorescence microscope is one of the most widely used optical tools. Epi-fluorescence microscopy can be combined with high quality Japanese optics and a variety of filter cubes to provide different levels of resolution. They can also be paired with USB digital CCD cameras for image capture. The software included with these cameras allows for not only image capture, but also measurement, stacking and combining images captured with different filter sets into one image, among numerous other features. These additional technologies offer unique methods for viewing the specimen.